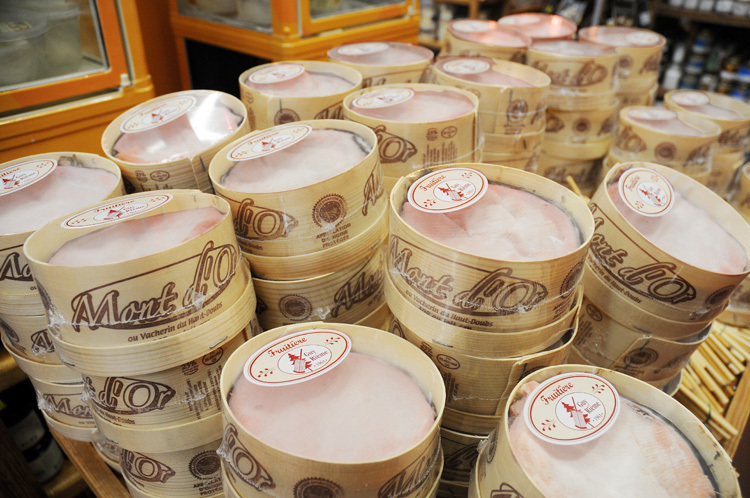 Home > Blog > It’s Mont d’Or season! There are lots of things to love about France in the autumn but one of the most sublime seasonal treats has to be Mont d’Or cheese. Only available from autumn to early spring, this unctuous, soft, rich cheese from the Jura region can be devoured at room temperature or baked in the oven then served like a cheese fondue (lots of restaurants serve it this way and it really is stunning with a glass of white wine and a chunk of French bread). Served either way, it is unbelievably good and well worth heading to the Jura region to seek out. 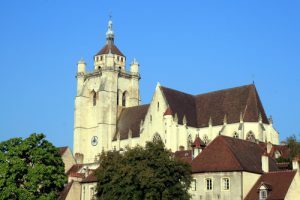 Another great Jura asset is the lovely town of Dole. Dole has a river, a canal, medieval architecture, interesting history, several great cycling routes, shops, restaurants and even an “Aire de Camping Car” (area for motorhomes to stay overnight for free), right in the centre of town. Dole is just two and a half hour’s drive from the France Motorhome Hire depot and between here and there are some delightful Burgundy towns such as Auxerre, Chablis, Dijon and Beaune. A motorhome trip to Dole and back is a lovely way to spend a week, stopping at beautiful towns, driving through vineyards and pretty villages as you go. This autumn has been stunning so far, with bright sunny days and very mild weather. As the nights become cooler, there is just the odd hint of lovely wood smoke in the air so now is a great time to come and discover some of our many local highlights. You could even enjoy Christmas shopping (!) en-route. Buy wine in Chablis and Beaune, mustard and Kir in Dijon and many other exquisite, beautifully packaged, gourmet foods – they all make great gifts. Drop everything, surprise your better half and plan a late autumn or early winter break. We’ll even put a Mont d’Or cheese and a bottle of white wine in your motorhome fridge and buy you a freshly baked “Baguette Tradition” from our great local Boulanger if you come before December 2014!